SUTTON GROUP SEAFAIR REALTY LTD.
Point2 Homes gives you far more than a simple list of houses for sale. Get instant access to a lot of relevant information about Richmond, BC real estate, including property descriptions, virtual tours, maps and photos. The search results pages also have a wealth of information on Richmond, BC, if you scroll all the way down. There are 811 houses for sale in Richmond, BC. 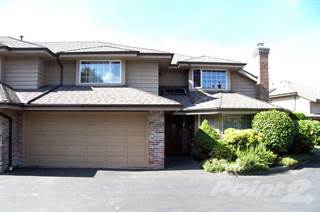 Searching homes for sale in Richmond, BC has never been more convenient. 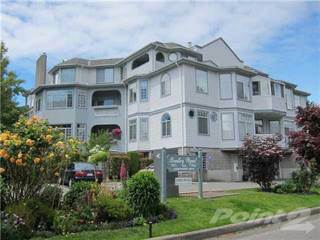 With Point2 Homes, you can easily browse through Richmond, BC single family homes for sale, townhomes, condos and commercial properties, and quickly get a general perspective of the real estate prices. Also, you’ll never miss a bargain if you filter listings based on house price drops in the past six months. Use the map view to find Richmond, BC homes and apartments for sale, based on amenities or city features that you may want close by. You can close in on a specific neighbourhood or area by simply drawing around them with the polygon or radius tools. Stay informed about the latest entries on the real estate market by saving your searches. This way, you get new listings in your inbox, daily or every week, based on your preferences. If you’d like to get in touch with a professional, agents are displayed next to their listings, and they’re easy to contact through the online forms. If you want more options, you can click the Tools tab and Find an Agent, and you’ll get a list of helpful and knowledgeable real estate agents in Richmond, BC. Visit the Point2 Homes blog and you can find up to date expert advice on many markets throughout Canada, regular market reports, neighbourhood scoops in cities throughout the provinces, real estate deals and useful recommendations. 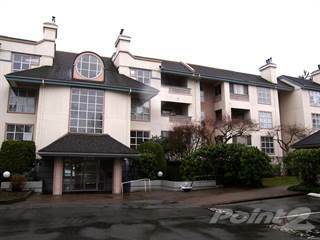 Richmond is located on the southwestern coastline in the province of British Columbia. It spans approximately 130 square kilometers of land and it hosts a total population of around 190,000 people. Richmond has the highest immigrant population in the country of Canada, clocking it at around 60%. Half of these immigrants identify as being of Asian descent. Richmond was formerly a large hub for the fishing and farming industries. Although those sectors still contribute to the economic well-being of the city, other industries have since played a larger role that include high-technology, aviation, tourism, and retailing. With around 130,000 jobs available, there are an abundant number of employment opportunities for those who need them. Unemployment numbers continue to reach all-time lows and projections show that this trend will not be stopping anytime soon. In particular, a majority of the jobs will be coming from the sales and service industries. There are a lot of things to do if you are looking for a fun time in Richmond. If you are a big fan of shopping and walking through city districts, then you have come to the right place. You can head on over to the Golden Village and sample some of the 400+ restaurants. You can get dishes from various ethnicities that include Chinese, Korean, Japanese, and more! When you are full from eating, you can visit some of the local stores or shop around in the many shopping malls that the city has to offer. Alternatively, you can also go to some of the heritage museums and learn more about the aboriginal origins of the city. Outside of the vibrant city life, you can also choose to go on an outdoor tour. It can be as simple as taking a walk in the park, or something as exhausting as a cycling tour along a challenging bike path. If you’re lucky enough, you might even see some wildlife while you are outside! The entirety of Richmond is viewed by real estate agents and many others as four distinct parts that make up the boundaries of the city. Because these boundaries happen to be shaped like a quadrant, many people just refer to them as the northeastern, northwestern, southwestern, and southeastern regions of Richmond. Northeast Richmond is made up of the City Center and Brighouse neighbourhoods. This is by far the most populated region of the city. With the majority of the deluxe shopping centres in Richmond aggregated in the City Center neighbourhood, residents can shop for hours on end. You will have access to some of the latest in fashionable designer clothes and jewelry. Did we also mention the numerous recreational facilities and art museums that are available to the general public? The northwestern quadrant of Richmond consists of the neighbourhoods of Thompson, Blundell, and Seafair. One of the most attractive features of this region is the nearby access to important amenities like food, health care, community centers, and entertainment. Athletic people will be pleased to see that the Richmond Olympic Oval is a few minutes away by car. Yes, this was the same skating rink used for the 2010 Winter Olympics! It has now become a sports facility that hosts a multitude of sports. Broadmoor, Shellmont, and Gilmore are the three neighbourhoods located within Richmond’s southeastern region. With several outdoor parks available for walking and relaxing, this quadrant contains a high volume of vegetation and green spaces. Amenities in this area include local mom & pop restaurants, karaoke bars and water parks. Southwestern Richmond is home to the Steveston neighbourhood, where residents of this community find themselves in close proximity to the Pacific Ocean. This allows for several boat tours and a booming fishing industry that leads to some of the best seafood eateries that you will find in the city. If you happen to be around in the summertime, the annual Steveston BBQ involves preparing and serving over 1.2 tonnes of salmon filets! Whether you choose the Seafair, Blundell, or Thomspon neighbourhoods, you will have a hard time going wrong with your choice of home in Northwest Richmond. Depending on where you are, you will see an eclectic mix of townhomes, luxury detached homes, and high-end condominiums for sale. If you are looking for something cheaper or temporarily living here, there are also condo-style apartments for rent that will turn any visitor into a full-time resident! Northeastern Richmond is primarily composed of condominiums and penthouse high-rises that provide a luxury style of daily living. All of the high-income earners and professionals are concentrated within this area for this very reason, as these types of housing are most appealing to them. Southeast Richmond is a lot more residential and reserved in comparison to the northern areas previously mentioned. Some of the homes that you can expect to find here are attached townhomes, semi-detached homes and fully detached single family homes. There are a few condos available, but they are rare to find and often sell out fast in Richmond’s real estate market. The southwestern area of Richmond has seen a massive surge in real estate developments, leading to a rise in the number of fully attached townhomes and luxury condominiums being built. Unlike townhomes and condos being built in the other Richmond regions, residents will have a first-class view of the majestic skyline along the Pacific Ocean during sunrise and sunset. There are three post-secondary institutions that are located in Richmond. The British Columbia Institute of Technology is well known for its aerospace technology programs that introduce students to the field of aviation. Engineering, technology, piloting, and repairs are just some of the many things that you will learn when you sign up at this institute. The Kwantlen Polytechnic University has a campus in Richmond, and provides bachelor’s degrees along with diplomas and certifications across a wide range of subjects. Finally, Sprott Shaw College focuses on training students for their upcoming careers. Notable industries covered include health care, administration, and business. Richmond is home to around 35 elementary schools (K-8) that are served by the Richmond School District. There are a couple of schools that offer curriculums entirely in French, and three of them offer a Montessori style of education. In short, there is something here for every family to choose from that they feel will best fulfill the educational needs of their children. Most of the schools rank very highly in provincial rankings that take into account standardized testing and overall feedback from the students and their parents. Notable schools include St. Paul’s, Richmond Christian, and Jessie Wowk.